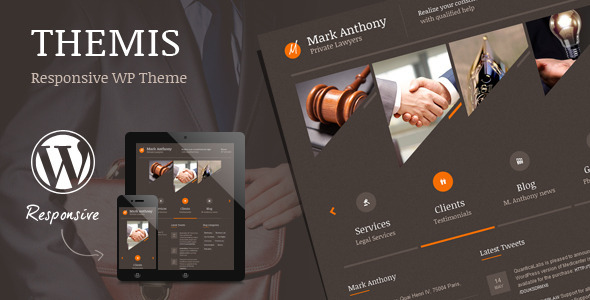 Themis is a responsive WordPress Theme best suitable for lawyers, attorneys, judges, law firms or legal office. 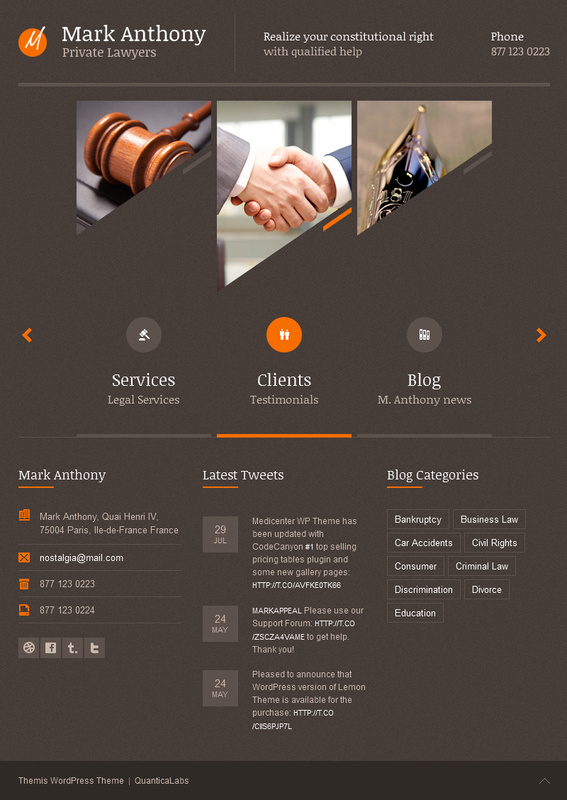 Themis – Law Lawyer Business WordPress Theme is also suitable for any legal, justice or law-related businesses like consultancy business, legal adviser, accountant, counsel, advocate, solicitor or barrister. 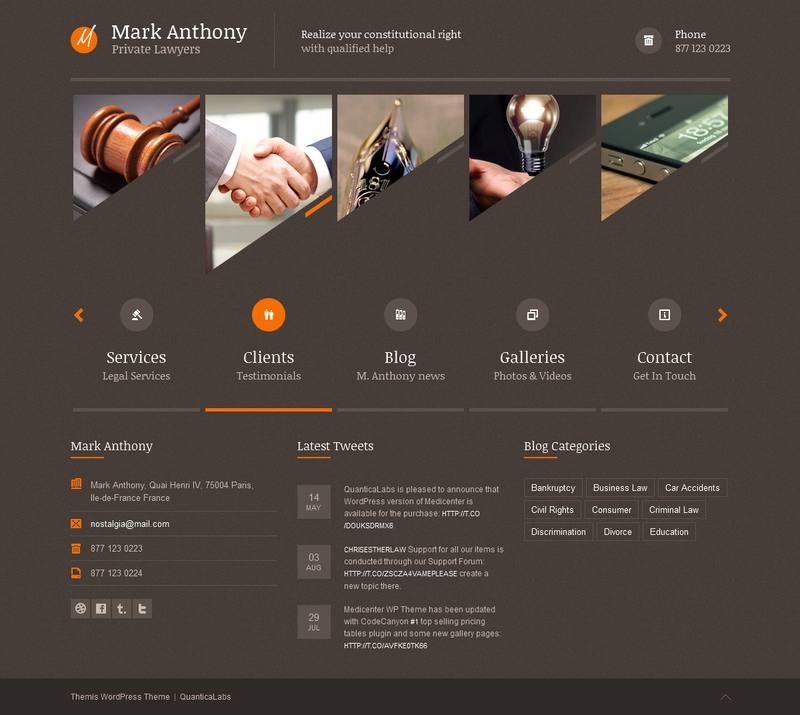 The Theme comes loaded with more than 20 different page layouts. 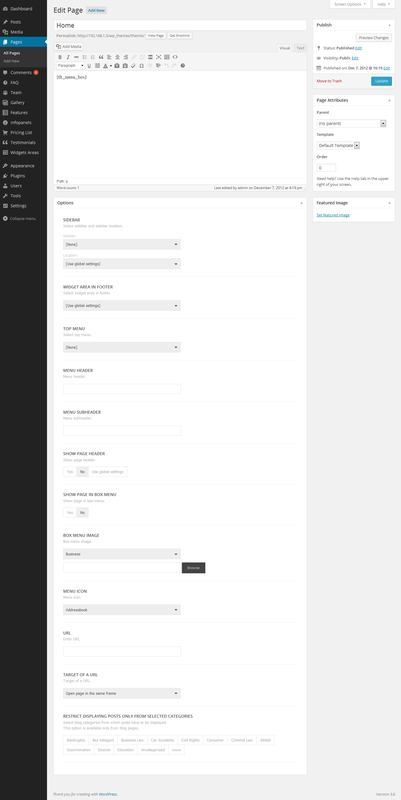 It’s super easy to build any page with build-in shortcode manager and 30+ shortcodes to choose from. 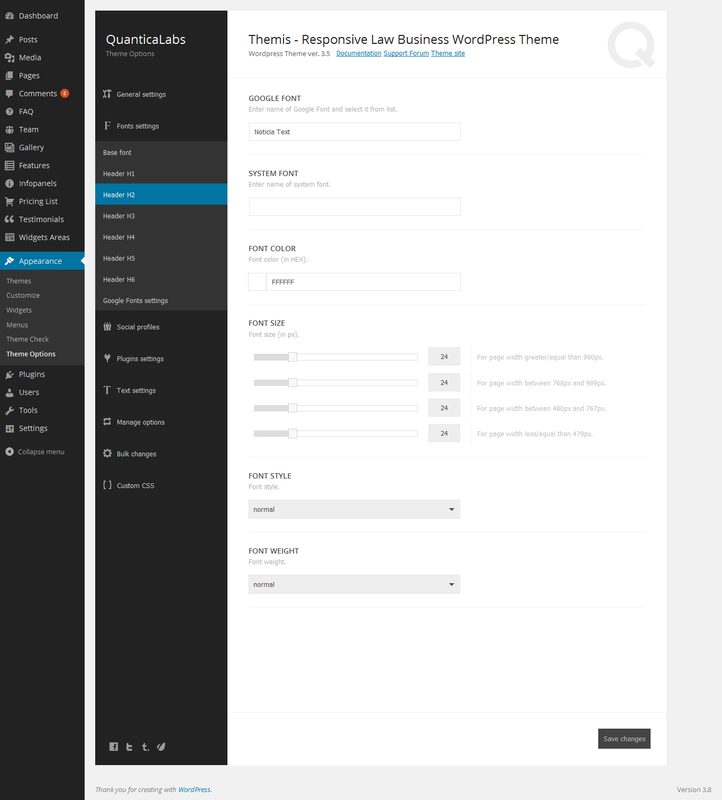 With built-in Theme Demo Data Installer, you can import the complete set of our Theme Demo – pages, posts, widgets with a just single click. No need to mess around with XML files! Themis is Fully Responsive. Each and every page element is 100% responsive and adapts perfectly for any mobile device. 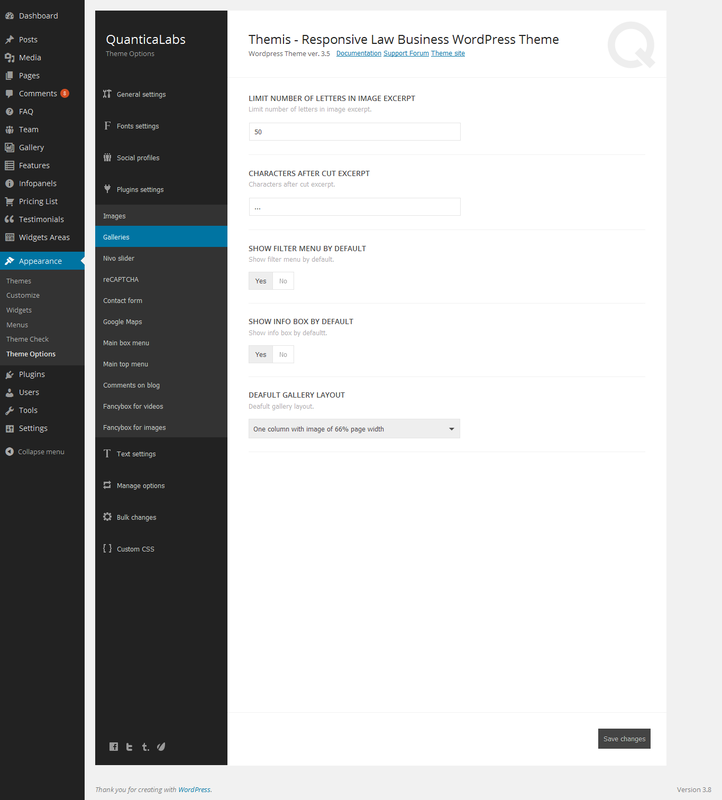 Responsive mode can be disabled in Theme Options Panel. Customizable Theme Options Panel allows to easily manage the entire Theme. 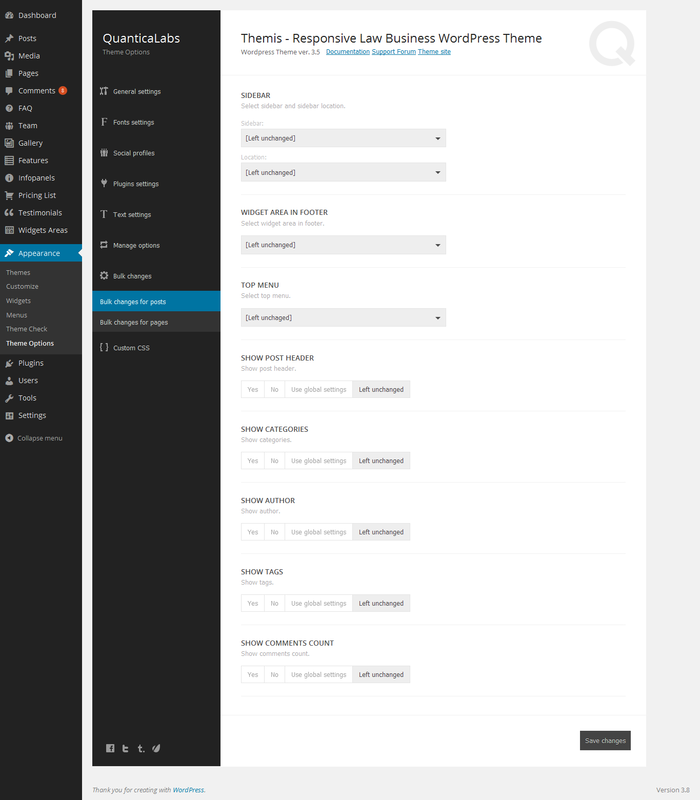 The Theme comes with Theme Demo Data Installer under Appearance Menu within admin area. With this panel, you can import the complete set of our Theme Demo pages, posts, widgets with a single click. No need to mess around with XML files! 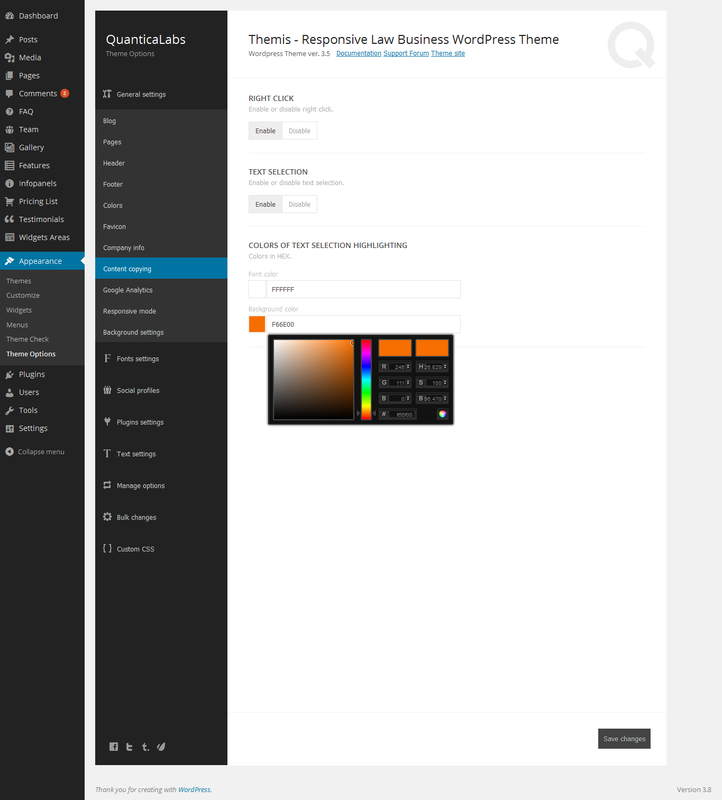 With Custom Color Schemes you can adjust the color of virtually every website element with ease. Full support for Right-to-Left languages, such as Hebrew or Arabic. Choose from an extensive library of over 800 Available Fonts and their variants. Set-up your base and headlines fonts. Apply different settings for different screen sizes. 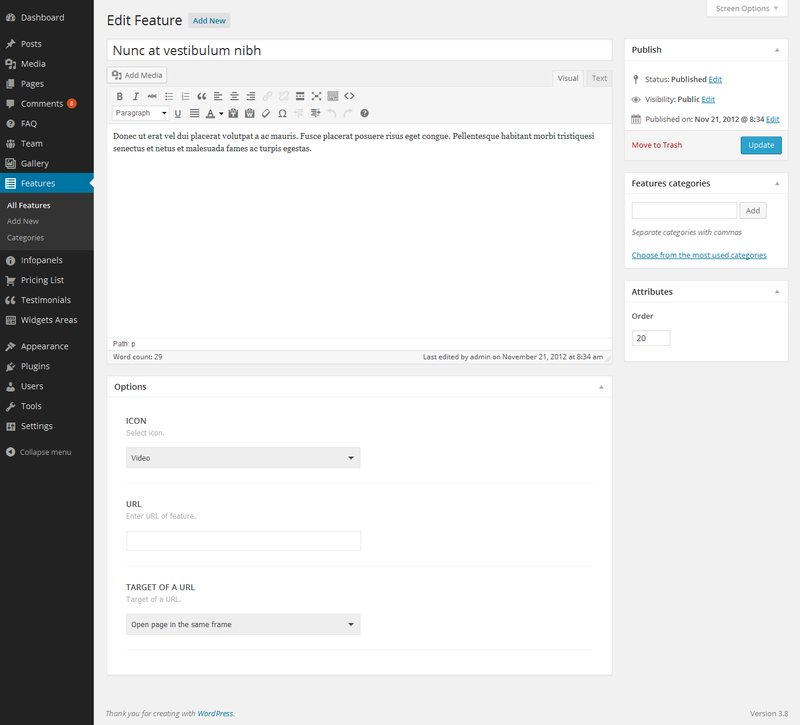 Create and manage shortcodes directly in post content with Build-in Shortcode Manager. 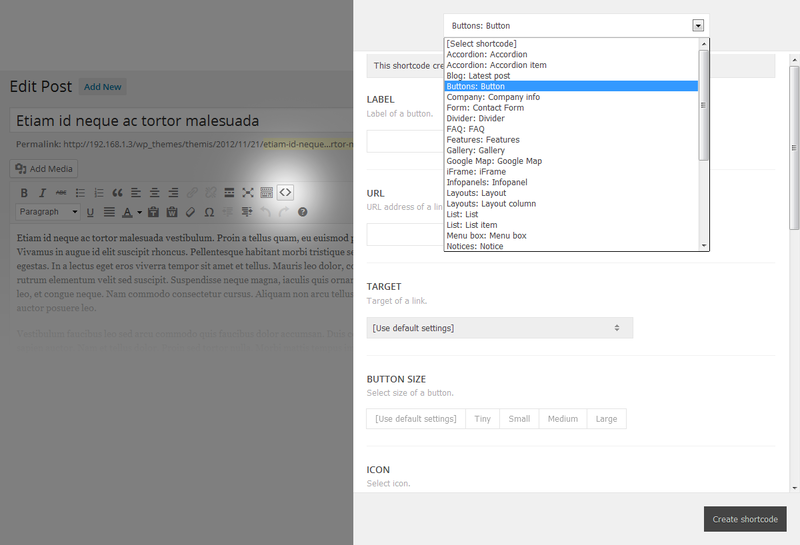 Click on shortcode manager button in the post editor, a pop-up window will appear with a list of 30+ available shortcodes. Select a shortcode, enter your settings and save. Selected and customized shortcode will appear in your post! You can even edit existing shortcode snippets. 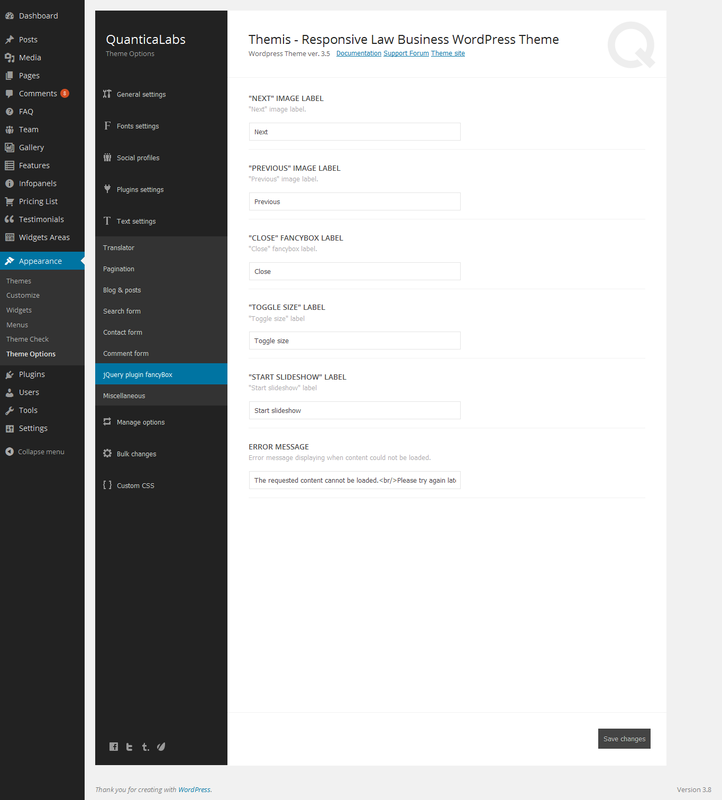 Just select inserted shortcode and click on shortcode manager button. 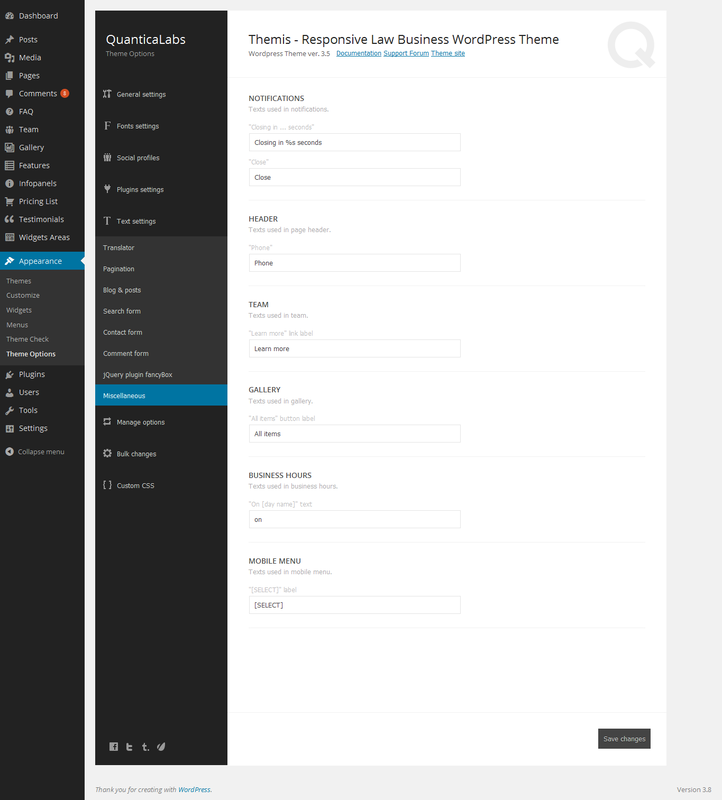 The Theme comes with 20+ Predefined Page Layouts including about and services pages, clients page, different blog layouts, different gallery layouts, contact page and more. 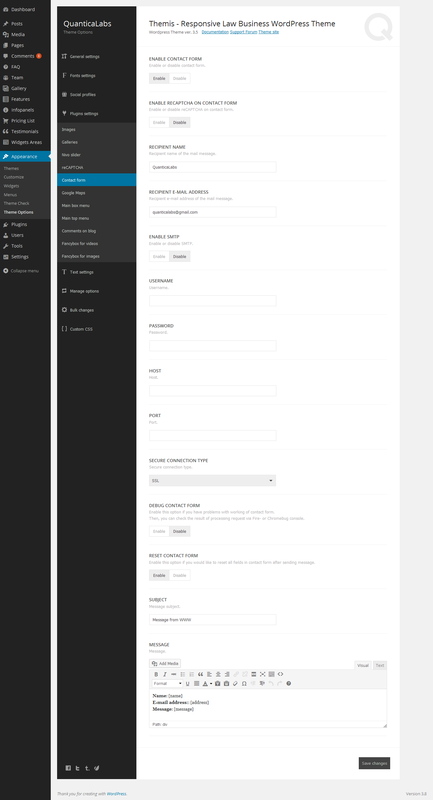 Customize your content with Different Post Types and several post options like custom header menu, custom sidebars, post details visibility settings, etc. The Theme comes with 80 Different Icons to choose from. 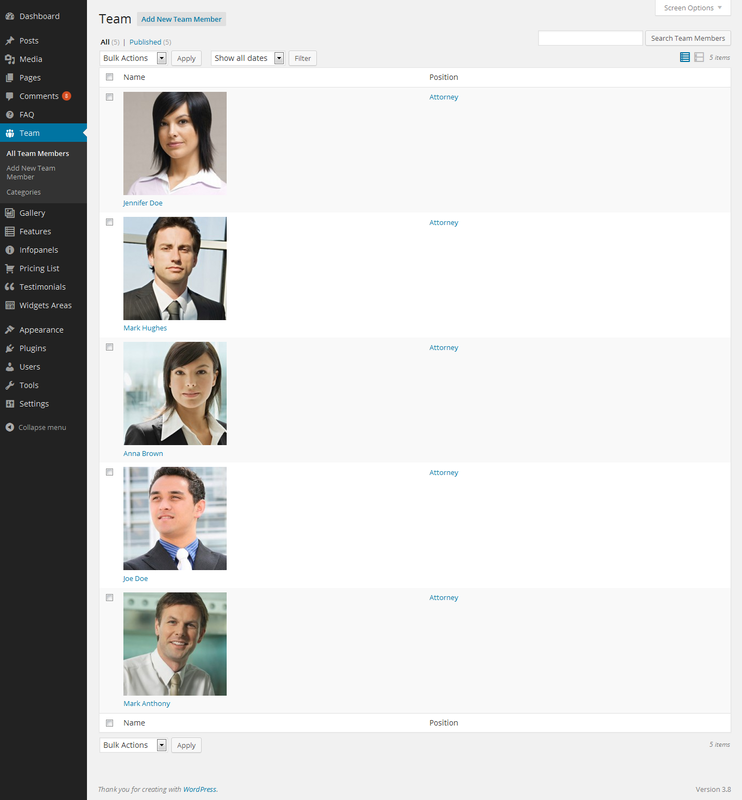 It includes 20 Features Icons, 40 Home Menu Tab Icons and 20 Social Icons. Please contact us and you will get for free a complete theme in PSD plus all of the icons used within a theme in full PSD vector. 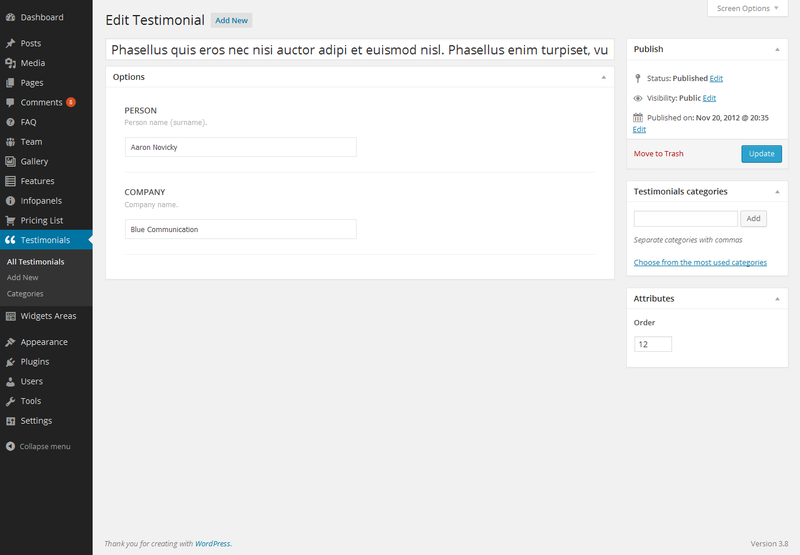 Themis is fully Compatible With WPML, one of the leading multilingual plugins for WordPress. 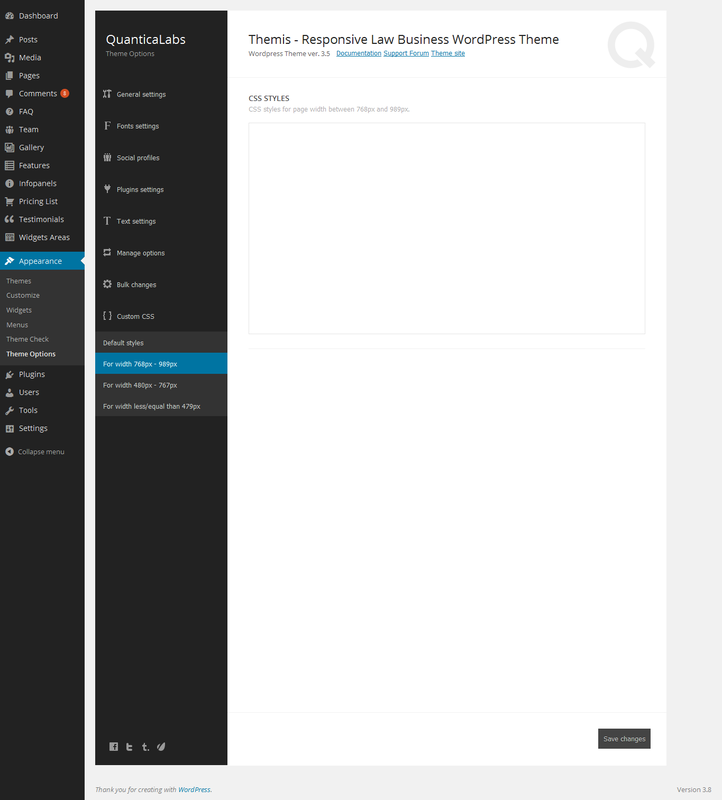 The Theme contains *.po and *.mo files. I have to say I am very happy with this theme. It made my client happy too. Great Theme and great Support! Thanks guys my sites up and running already. All the best. Great theme! Great support! Thank you!!! All images under Creative Commons Attribution 2.0 Generic (CC BY 2.0) for commercial use. 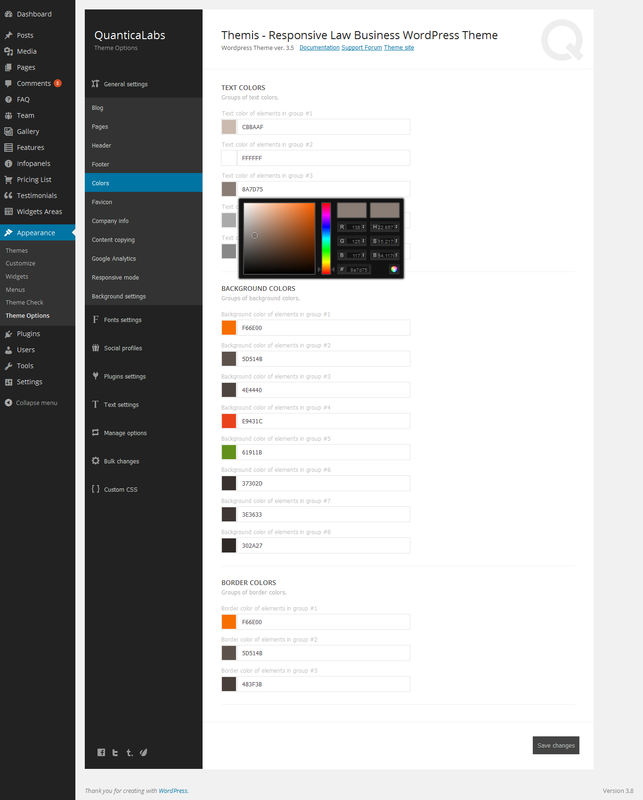 Added new version of plugins: Theme Demo Data Installer. Fixed security vulnerability related with WordPress core functions: add_query_arg(), remove_query_arg(). Fixed issue with reCAPTCHA on contact/reply form. 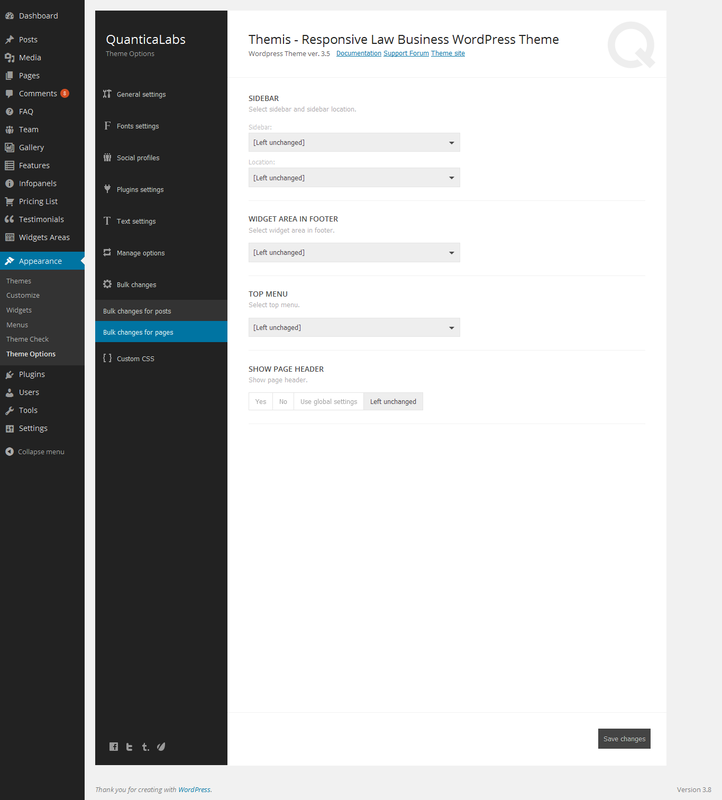 Fixed minor issue with tooltips in Theme Options. Updated libraries and plugins to the newest versions. 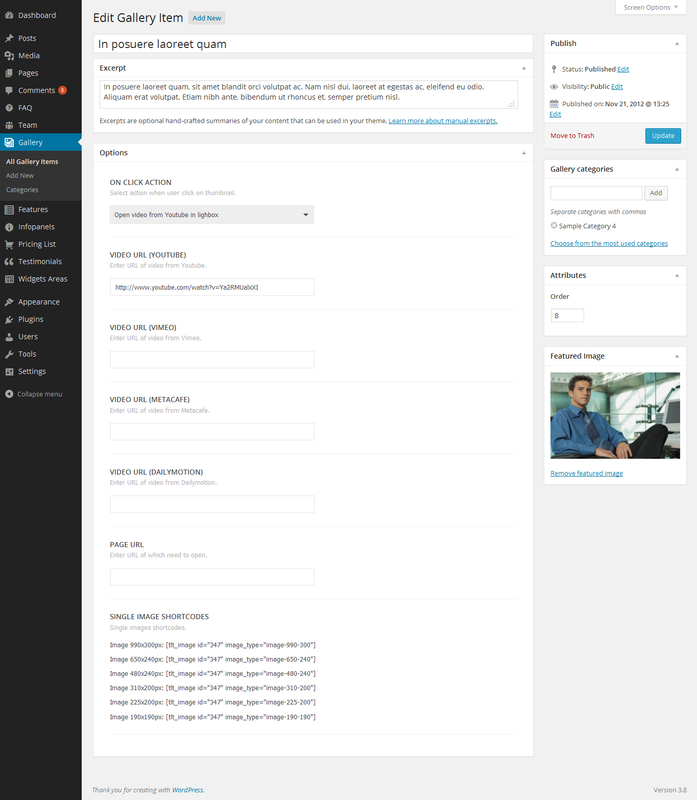 Added new plugin: Better WordPress Minify. Added new plugin: Theme Demo Data Installer (allows import dummy content, widget settings and theme options by one click). Added option which allows to open URLs from gallery in the same window. Added option which allows to open URLs from team in new window. 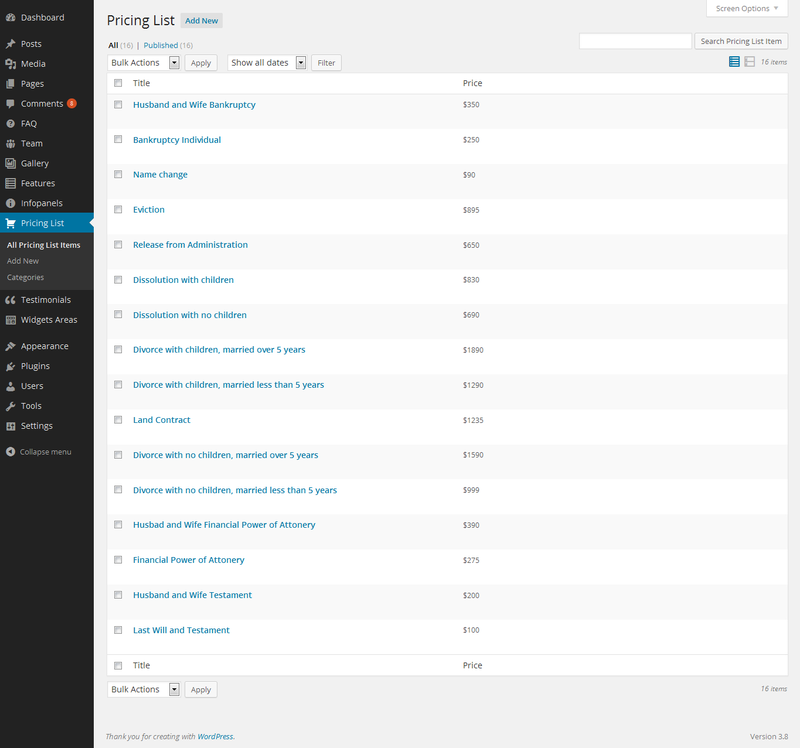 Added option which allows search on pages. Improved code of a few PHP and JS functions. Updated plugins and libraries to the newest versions. Added support for WP 3.9. Added support for RTL mode. Added support for WP 3.8. Improved look and feel of admin options. 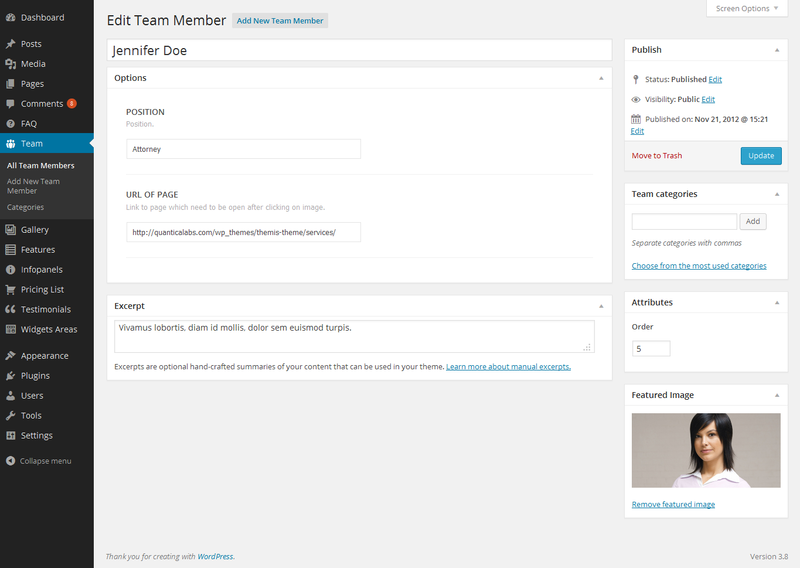 Added new widget: Department info. Added possibility to change color of text selection. Added CSS style editor for all resposnive dimensions. 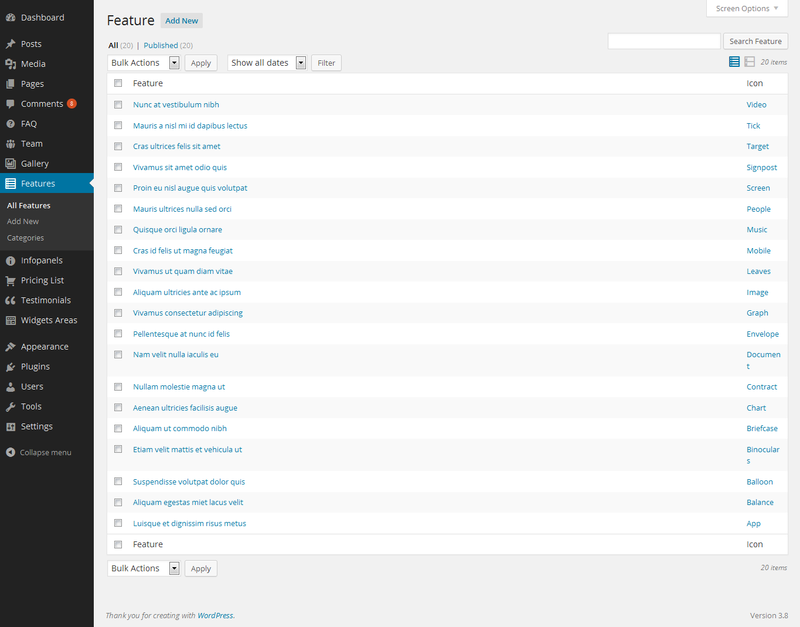 Added possibility manage window target of features links. Added possibility hide menu when page is scrolling by user. Added possibility manually downloading list of Google Fonts. Added support for sticky menu. 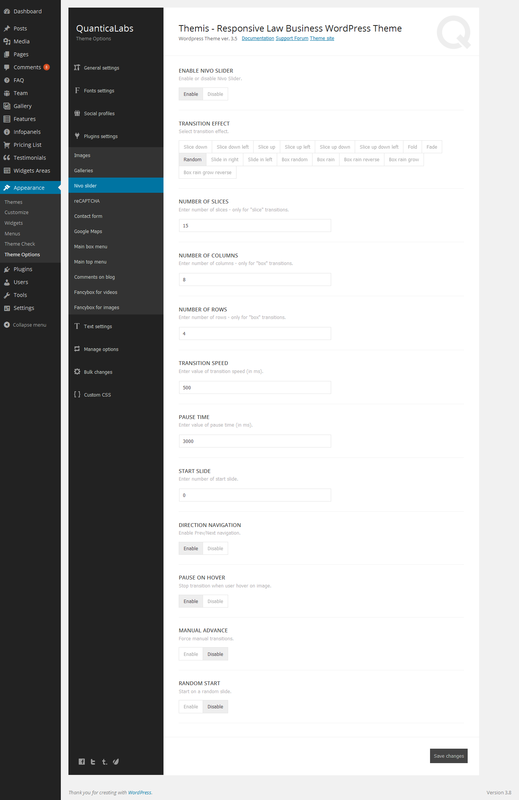 Added support for multiple menus. 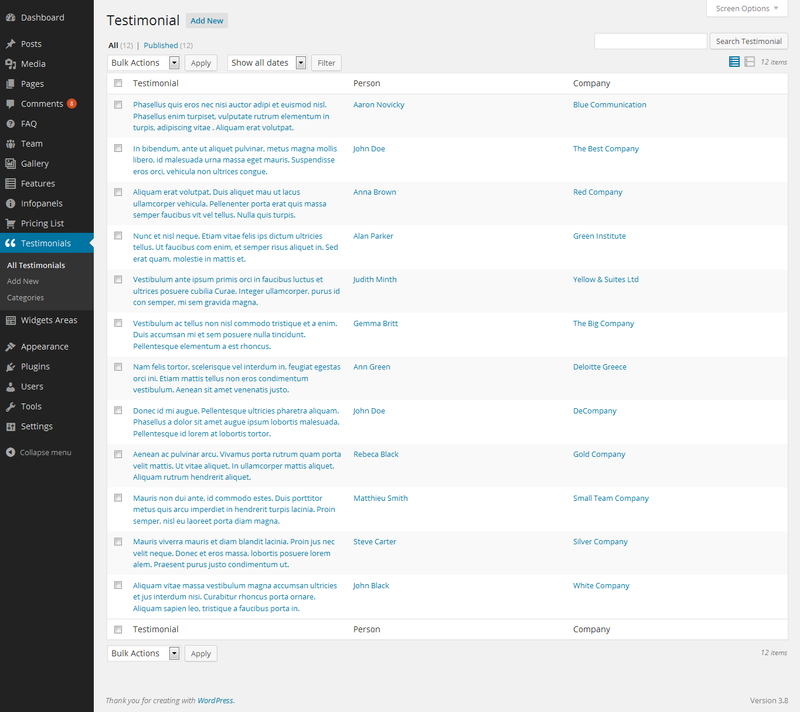 Added support for metacafe.com and dailymotion.com videos. 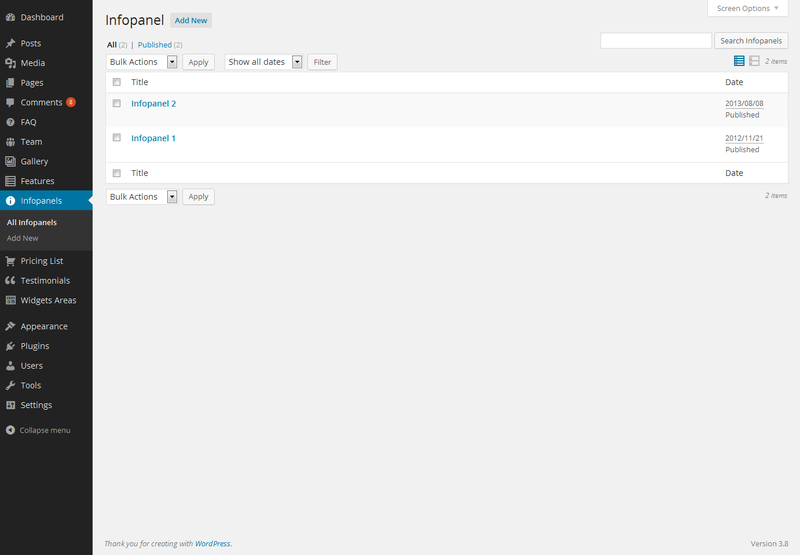 Added new shortcodes: video, iframe, button, divider. Updated jQuery fancyBox plugin to ver. 2.1.4. Updated jQuery libraries and plugins to the newest versions. 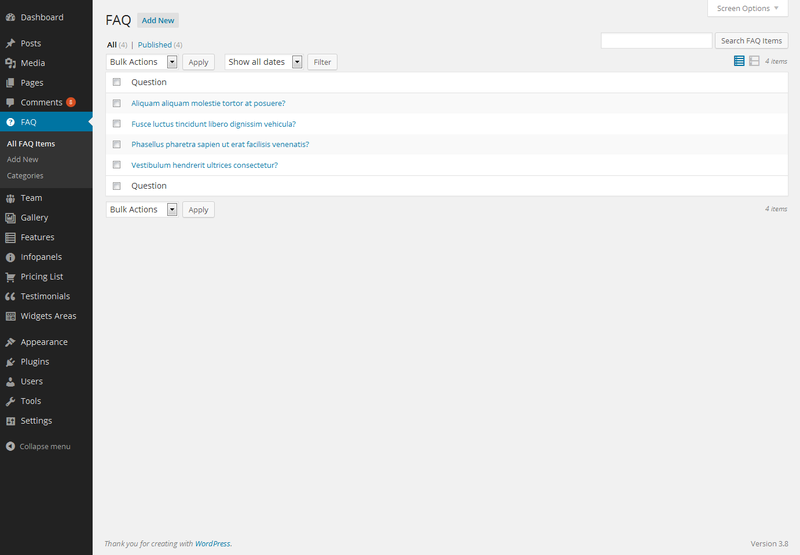 Added support for WP 3.6. Updated Twitter user timeline to API 1.1. 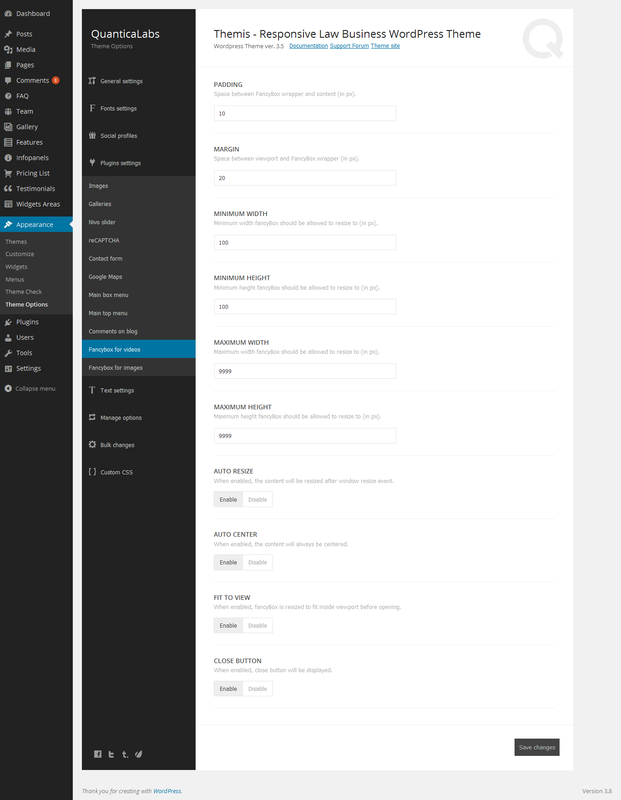 Added options to manage texts via theme options. 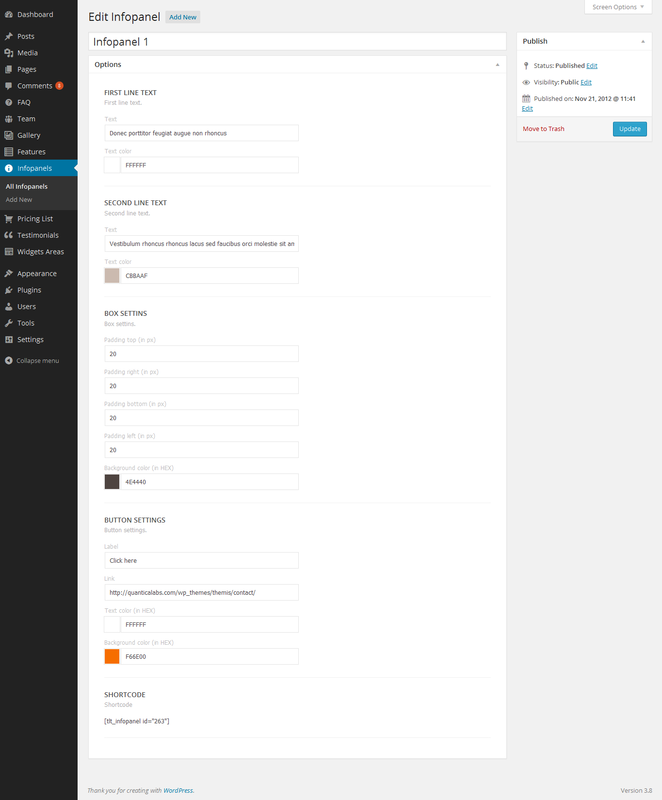 Added possibility to: export, import and restore theme options. 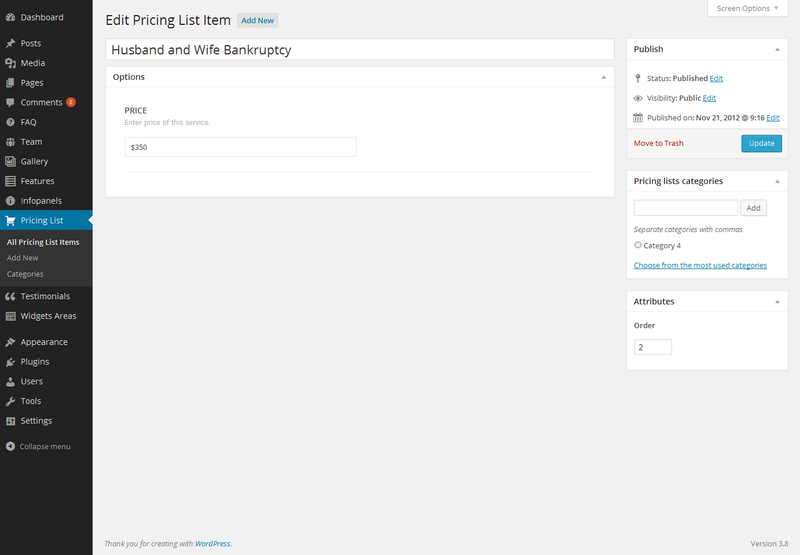 Added support for WPML plugin. 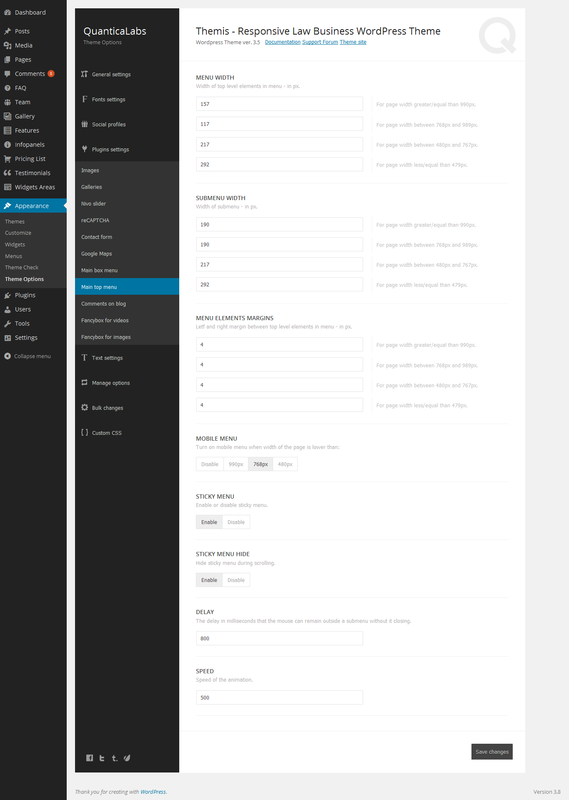 Added new options to manage pages. Added possibility to manage footer. Added new options for Company Info plugin. Added new options for [tlt_menu_box] shortcode. Fixed bug with left sidebar on pages. 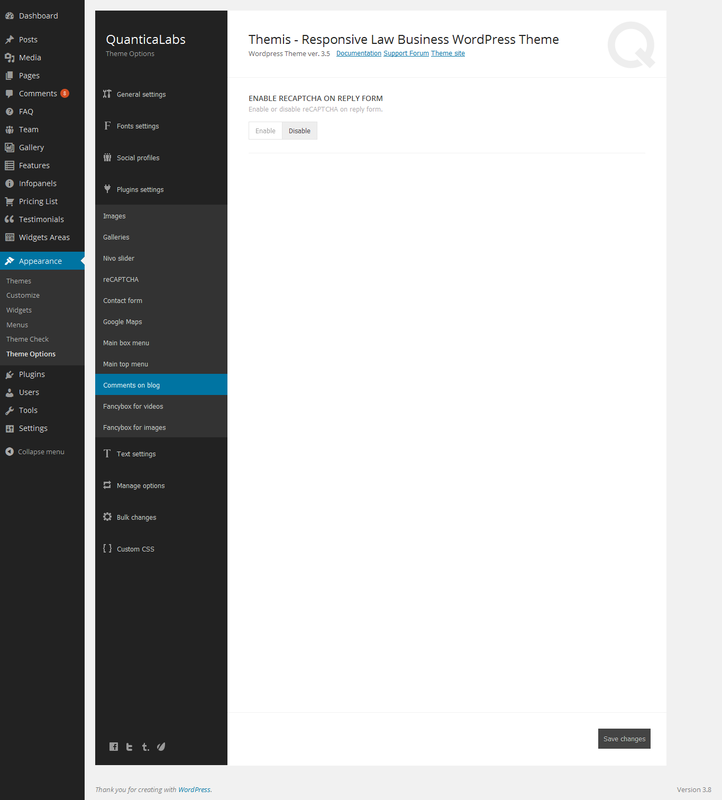 Fixed bug with active tab in accordion. 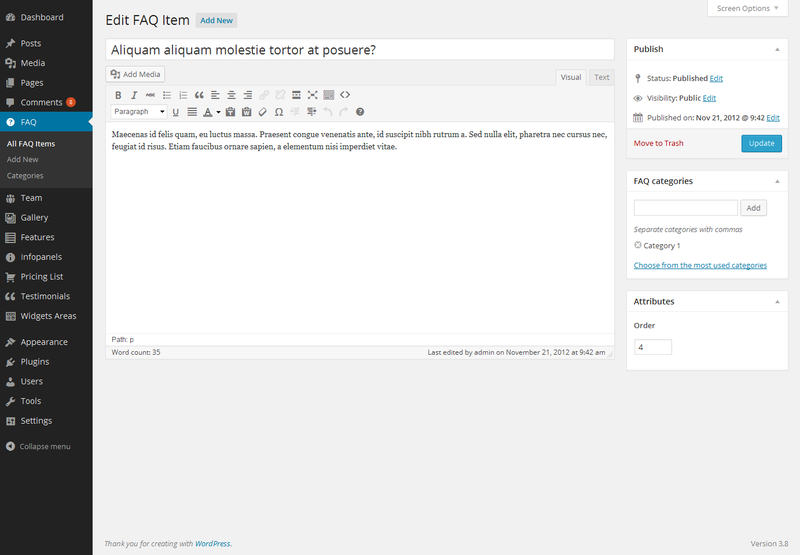 Added “Search in Blog” widget. Added reCAPTCHA plugin to contact and reply form. Added options which allows/disallows copy text from pages. Improved look and feel of theme options. Fixed bug with notice box. Added options which allows upload favicon via Theme Options. 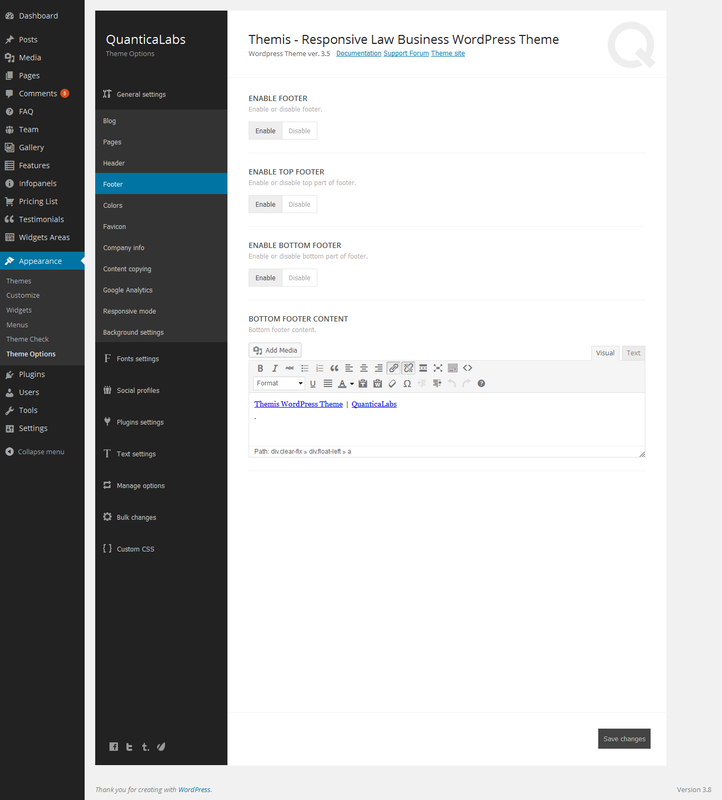 Added options which allows reset contact form after sending message. Added new option which allows editing CSS files via Appearance Editor. 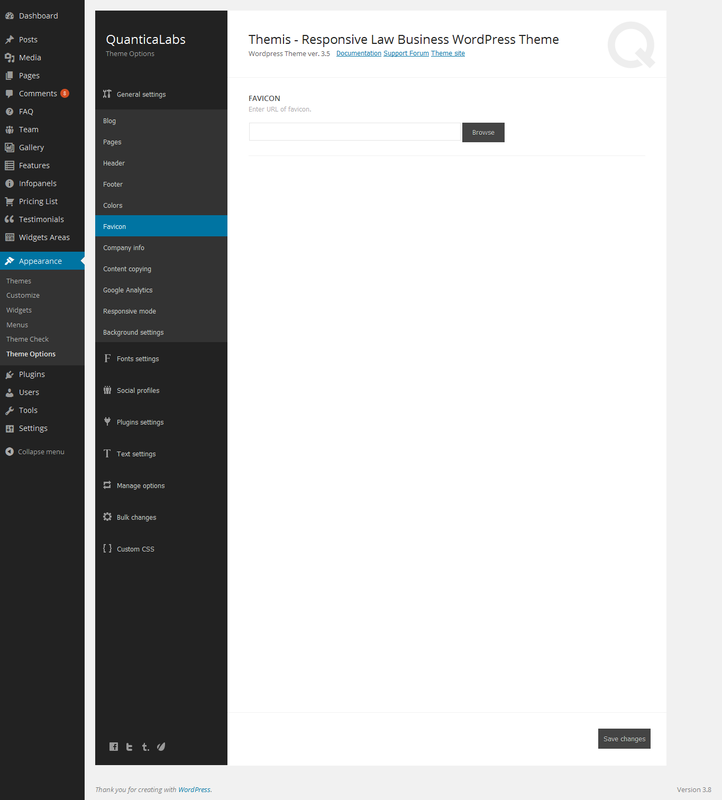 Added compatibility with WP 3.5. Fixed minor bug in infopanels. Fixed minor bug in bulk changes. 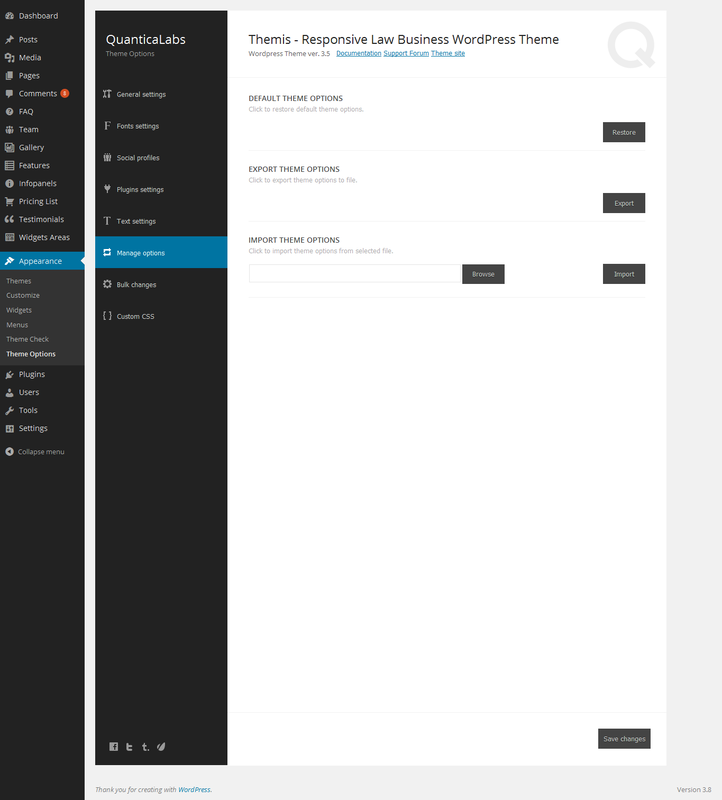 Added possibility to manage home page. 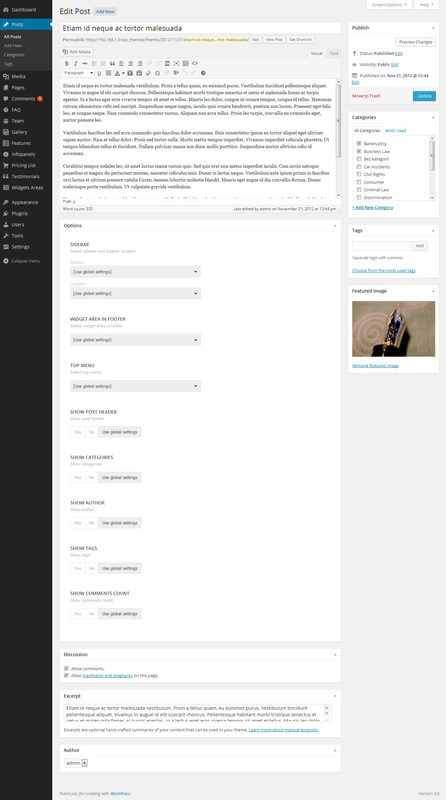 Added possibility to make bulk changes on posts or pages. Added possibility to set URL of single feature.